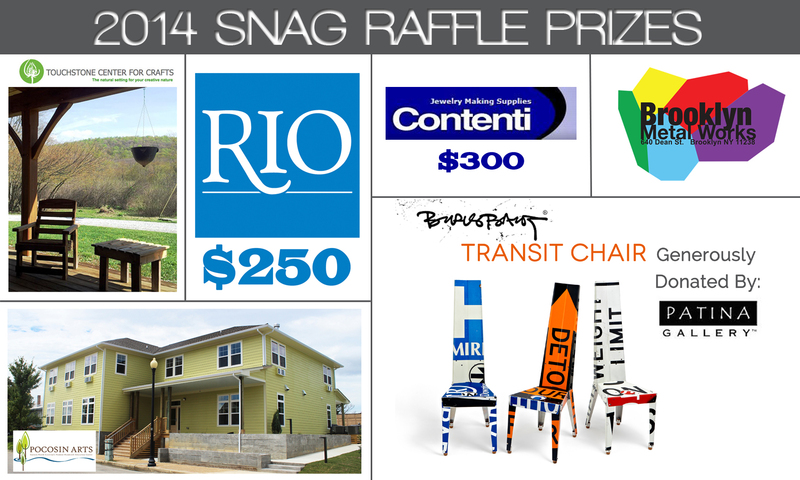 The annual raffle supports SNAG’s Educational Endowment fund, which awards annual student scholarships. There are a limited number of raffle tickets available and many fantastic prizes, so buy many and buy early! 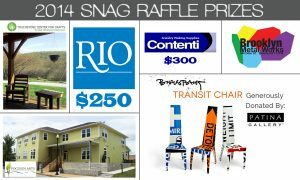 Winners will be drawn at the SNAG conference in Minneapolis in April; you do not need to be present to win. Tickets also available onsite at the conference beginning April 24th until they are sold out. In the fourth week of the Road 2 Success SPOT ON: Making a Living and Living the Dream, our panel of experts delved deeper into the creative problem-solving of sales and discussed the need for representation of craft artists in front of lawmakers. In the third week of the Road 2 Success SPOT ON: Making a Living and Living the Dream, our panel of experts discussed the difference between “push and pray” vs. “pull and stay” sales strategies as well as some thoughts on the changing atmosphere at craft shows. 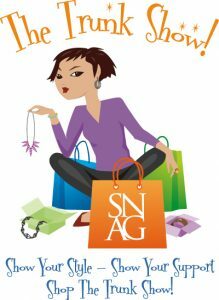 SATURDAY, APRIL 26, 2014, 4-6:30 P.M.
Come shop, learn about and purchase work directly from SNAG members at the 4th Annual Trunk Show Sale! As always, this year’s event offers the latest and most innovative creations in studio jewelry and contemporary metal art. Conference goers and public alike are encouraged to attend this event. Cash, check, visa and mastercard accepted. Interested in being a participating artist for the 4th Annual Trunk Show? – You must be a current SNAG member and registered for the conference. You can sign up during the conference registration process for both. – Space is limited to 70 participants. This event is non-juried. First-come, First-served. – There is a $100 refundable table deposit upon registration to hold your space ($50 cancellation fee after March 18/ No-shows lose their deposit). – 25% of ALL sales will go to benefit SNAG. – SNAG handles all sales transactions. Final checks will be cut after conference ends. – Confirmation email will be sent to all participants with final details about the Trunk Show. VIP TRUNK SHOW PREVIEW HOUR! SATURDAY, APRIL 26, 2014, 3-4:00 P.M.
Don’t miss this exclusive opportunity to beat the crowds and preview this year’s amazing collection of one-of-a-kind works by regional, national and international jewelry and metal artists. – Gain early – and exclusive – access to this fabulous and hugely popular event. – Have your name entered to win one of 3 incredible pieces of art, generously donated by one of our trunk show artists. – Sip a glass of bubbly while shopping! – Avoid long lines in the private check-out area for your purchases.Open to you throughout the event. – Open only to the first 75 people to register. In the second week of the Road 2 Success SPOT ON: Making a Living and Living the Dream, our panel of experts has talked about knowing your market, the time and energy it takes to succeed, and the experience of being audited, along with much more.